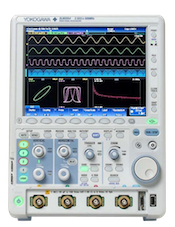 The DLM2000 has a Serial Bus Analysis option from /F1 to /F4. This includes the CAN, LIN, UART, I2C, and SPI protocols. However, there is one more User-Defined Serial Bus Analysis, which is not an add-on option but does come as a standard feature.